A couple of interesting articles appear in The Telegraph regarding the sharp increase in recent years of children being diagnosed with SEN in the UK. 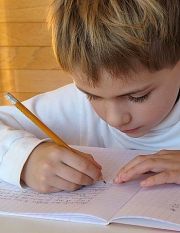 The reports respond to the fact that the government is sufficiently worried to have ordered a Green Paper (an official preliminary report of government proposals to tackle an issue) on the overall state of SEN diagnosis in British schools and how SEN children are then passed through the education system. While there are almost certainly more children which genuine SEN needs today – there are some ten million more people around than fifty years ago – added to the fact that we are better at identifying children with genuine learning difficulties such as dyslexia and autism, there is also a great worry that SEN is being used as an excuse for dealing with children who are simply badly behaved or who don’t work hard enough. There are a couple of good reasons why this might happen. On the parental side there is the fact that we don’t like the perceived failure of producing offspring with, at best, poor social skills and, at worst, over-active, loud and even violent behaviour. All parents have a deep seated realization that their children’s behaviour reflects to a certain extent the way they have been parented, and social disapproval of a child thus stings the parents’ conscience. This is true even of those who won’t admit it, often producing a knee-jerk reaction which is symptomatic of the behavioural traits of the child. Where this becomes a real problem is when truly medical causes are passed off as the result of experiential development. Either way, our natural selfishness can get in the way of doing what is best for our children. Then there are the more cynical possibilities for the increased numbers of SEN children. Children with SEN often get many concessions such as extra time in exams, personal tuition and even free laptops. It is possible that parents and teachers collude, both consciously and sub-consciously, to have children labeled as SEN in the belief that they may somehow be helping the child. It also gets teachers off the hook in a world driven by rigid performance targets in school curricula which can’t possibly be a good fit for one and all. For us here in Hong Kong where there is an extreme shortage of places for children with SEN, perhaps we too should take a look at making sure that the demands put on our limited resources are from genuine cases. Then, if we still find a shortfall, we can at least speak from a position of strength when demanding extra funding for those less fortunate who need extra, or simply different, help in navigating their formative years.